It's made of 92% Nylon plus 8% Spandex material. The sleeve length is 17 11/16" to 18 1/2" , upper end diameter is 4 5/6" to 4 3/4", lower end diameter is 2 3/4" to 2 15/16". Suitable for the shows, performance, outdoor, and more. The customized design is available. 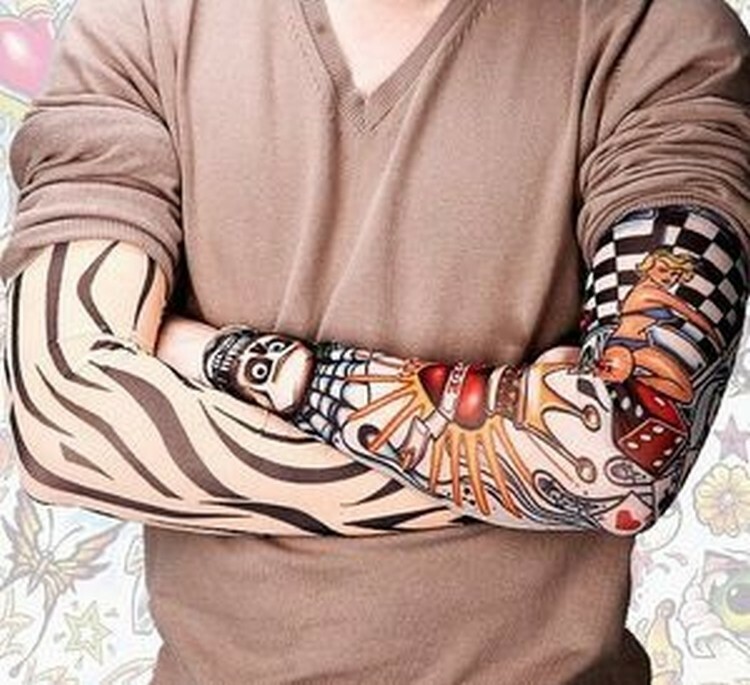 It can use for arm or feet style, good way for fake temporary tattoo. 18 1/2 " X 4 5/6 "